As the hour of Jesus’ death approached some folks of Greek heritage asked to see Jesus. The message got to Jesus, but as far as we know the Greeks didn’t see Him that day. What they did see was the greater story, the story of Jesus, the Lamb of God, who would die on the cross, and in His dying glorify the name of His Father. Jesus said, "The hour has come for the Son of Man to be glorified" (v. 23). The glorification would not end here, however. Any glory that might come to Jesus would be passed along to His Father. Jesus had entered into the world for this moment. It is when a seed dies that the possibilities locked away in that seed surface. Jesus’ death would produce many seeds. He said, "I, when I am lifted up from the earth, will draw all people to myself" (v. 32). Jesus expanded the story to include those who would believe in His name. "Anyone who loves their life will lose it, while anyone who hates their life in this world will keep it for eternal life" (v. 25). Narcissism does not work in a kingdom of love. Narcissism is a killer. It might bring the narcissist wonderful things to gratify the ego, but it is a killer of what really matters in the world. It is when one gives up their self-centered way of being and comes alive in the self-giving way of Jesus that life becomes what Jesus described as "abundant" (John 10:10). It is when one moves away from self-glorifying to God-glorifying that life takes on a quality that is nothing less than wonderful; blessed, if you would. Horace Mann (1796-1859), once quipped, "Be ashamed to die until you have won some victory for humanity." In His death Jesus won a "great victory for humanity," and He invites us to do the same as we live out our lives from within the grace of God that enables us to be "children of light" (v. 36). 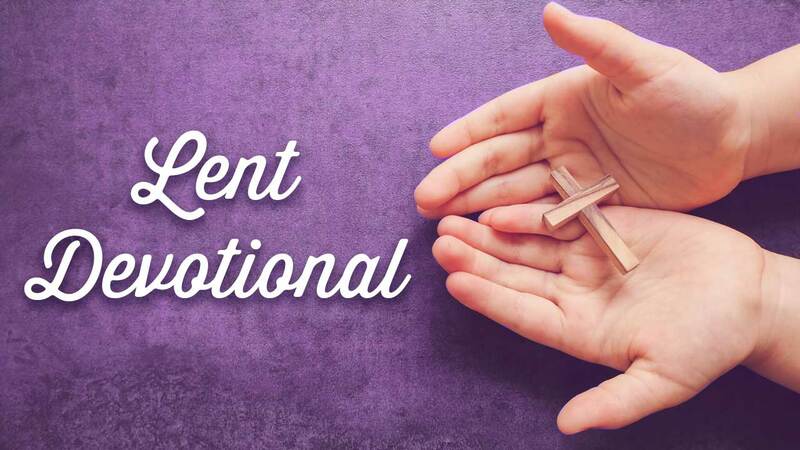 In Lent we are called to examine what it means to live in the self-giving life of Jesus. For some, self-giving might be asking too much. Folks like that are all around us. But Jesus is speaking to those of us who have responded to Him so that we might live in His abundant life. How shall we live? What does self-giving look like for us? How do we flesh out the marvelous grace of God? How might we go about being "children of light "? Or, perhaps a better question is, how do we follow Jesus into His death so that we might be resurrected to new life and then live where Jesus is (see v. 26)? And did my Sov‘reign die? Yes! He would. He did.